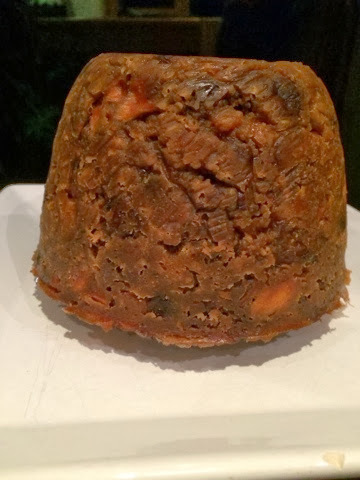 ...for years my family has had a lovingly prepared christmas pudding. it started with my grandma who had one of Delia Smiths first books. the spine hangs from the book and the pages look like a treasure map for a deserted island. notes in pencil cover every bit of free space from where my grandma had tweaked things to suit her style of cooking. we all used to be invited round to stir the pudding and make a wish on it. i have very fond memories of this and i really do miss the excitement. 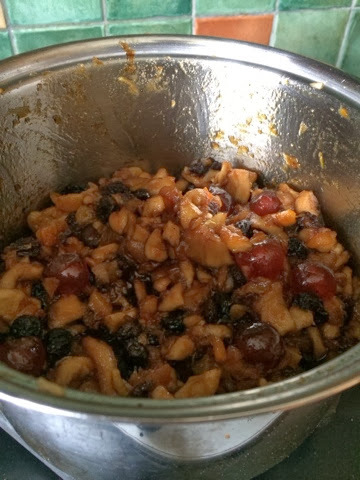 when my Grandma passed away my Auntie took over the role as head christmas pudding maker. the book is still in use and creates an amazing pudding that i look forward to each year. 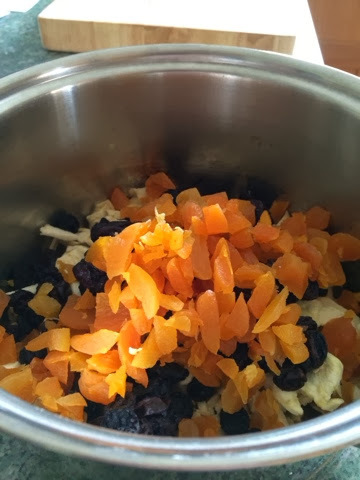 this year i've decided to have a bash at making a pudding myself but i've decided to stay away from the family recipe and make something slightly different. i struggled to find the toffee vodka (there is a brand called "Thunder" but my local shops don't sell it) so i substituted it for amaretto. 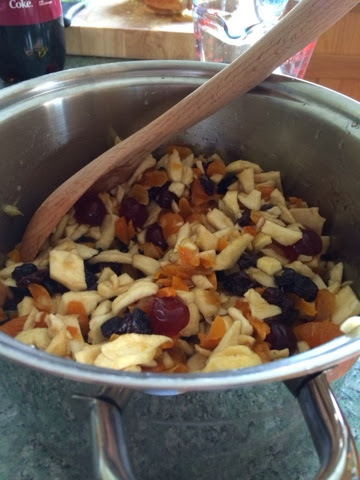 place all of the dried fruits into a saucepan and pour the cherry cola and orange juice over them. cook over a medium heat and allow the cola to boil. 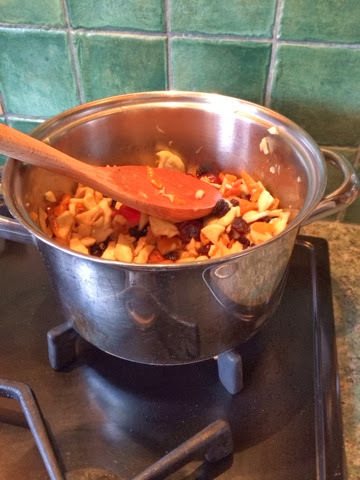 stir and continue to heat until the liquid has mostly soaked into the fruit. remove from heat and stir in the zests and amaretto, along with the dark and light muscovado sugar. leave to macerate for 1 hour. 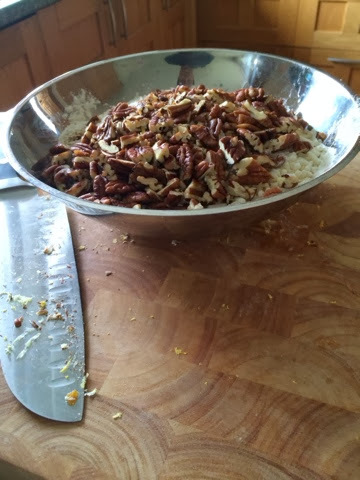 transfer to a large bowl and mix in remaining ingredients. this is the point where "Stir up Sunday" really comes into play. 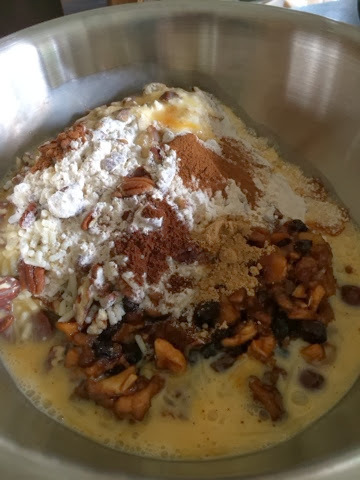 get your family to help you with this part as it does take fair amount of mixing. 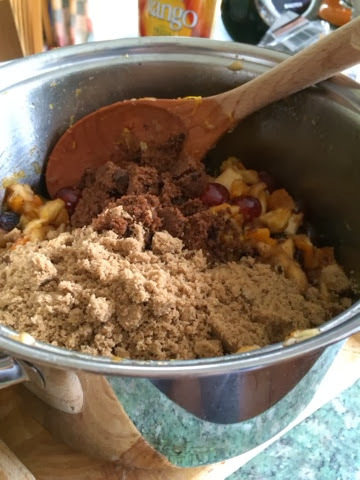 scoop the mixture into the prepared pudding mould (you will need a 1.5-litre pudding basin, greased and lined with a circle of baking paper) and cover with a greased double sheet of baking paper. 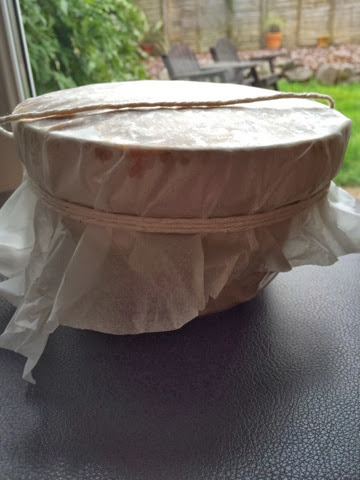 Tie cooking string tightly around the baking paper and under the lip on the pudding basin to seal then cover well with foil. 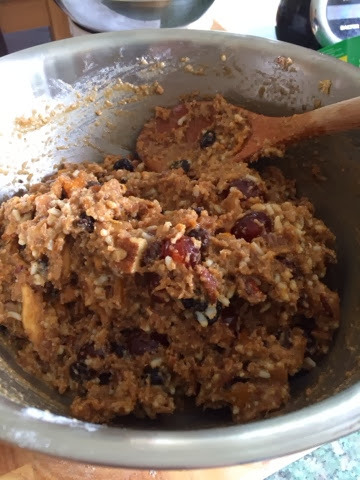 i found that i had quite a lot of mixture left over so it might be worth arming yourself with a smaller pudding mould to create a second pudding. place into a steamer filled with a good few inches of simmering water and close the lid to steam. keep it over a low heat and check the water level every 45 minutes to make sure the pan doesn't boil dry. if you don't have a steamer, put the pudding on a mug in a deep saucepan with a good few inches of simmering water, close the lid, and keep simmering as above, checking the water level. steam for 4½ to 5 hours. at this point remove from the steamer and allow it to cool completely. remove the pudding from the basin and inspect the creation of all your hard work! i'm very impressed with mine and it was touch and go as to if it would actually last until christmas day, as dad wanted to scoff it. 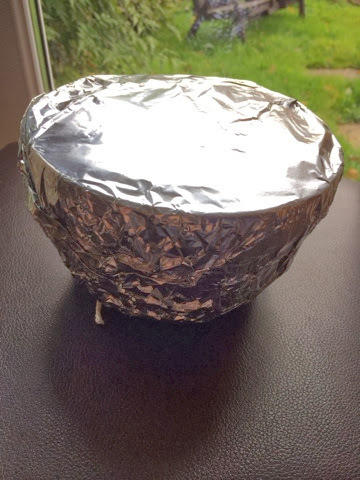 wrap your pudding in a double layer of cling film and a double layer of tin foil and store in a cupboard until the big day. to reheat on Christmas day steam for 2 hours as you did first time round.